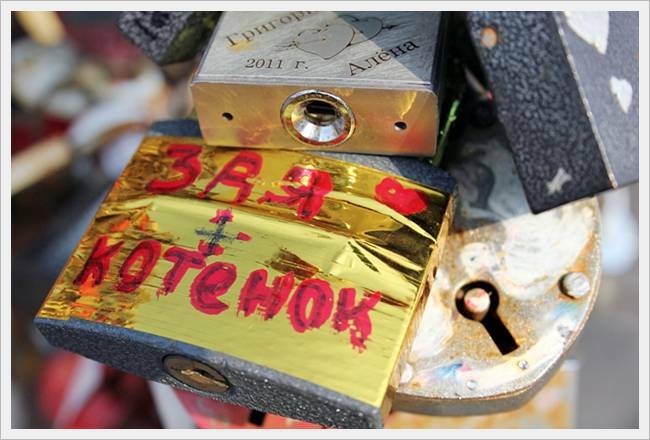 It seems that this tradition in Russia are not so many years. 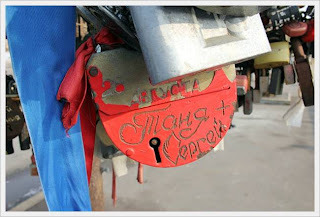 The newlyweds were to hang the locks on the fence bridges recently. But the newlyweds was much more than bridges. 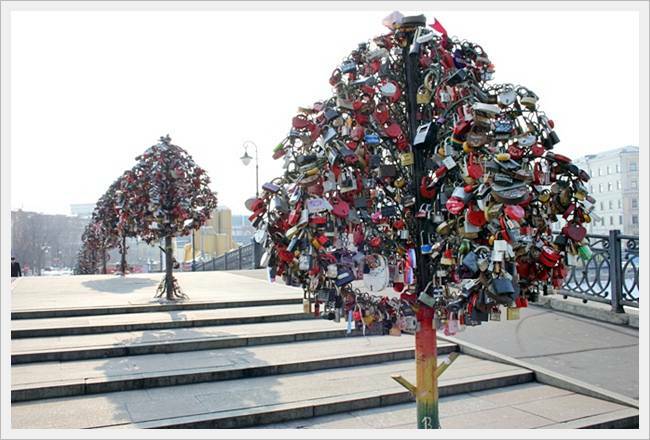 And soon, all the railings were similar to the lurid Christmas trees. 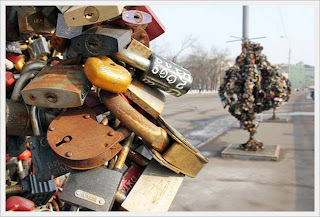 Locks were unable to cut off as on the fence there were new characters indissoluble union. 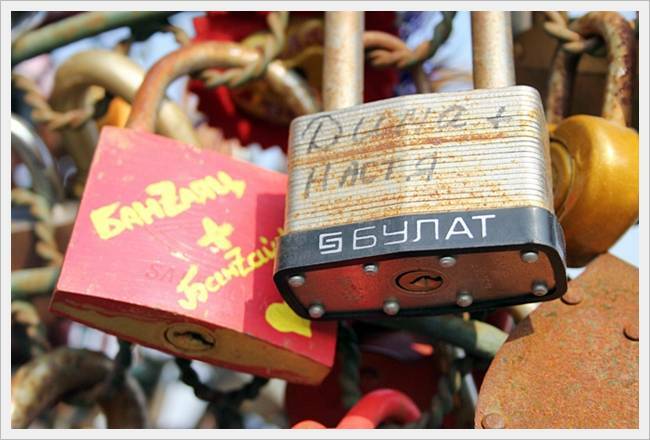 Problem was solved quickly and, in my opinion, even elegant. 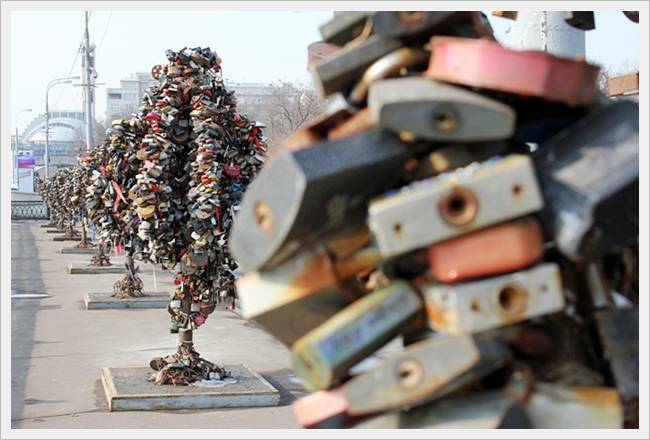 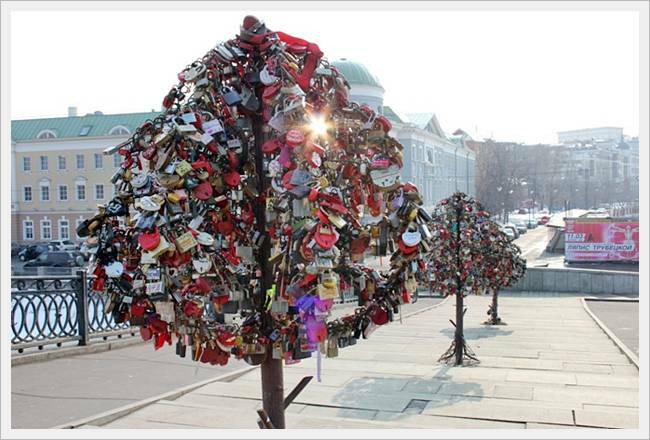 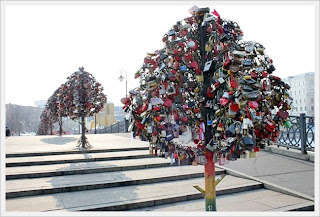 On Luzhkov bridge, which is constantly being invaded by members of wedding processions, installed a metal tree. 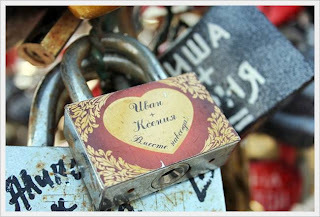 By the wedding rituals, I am a bit condescending. But steel trees attract attention. 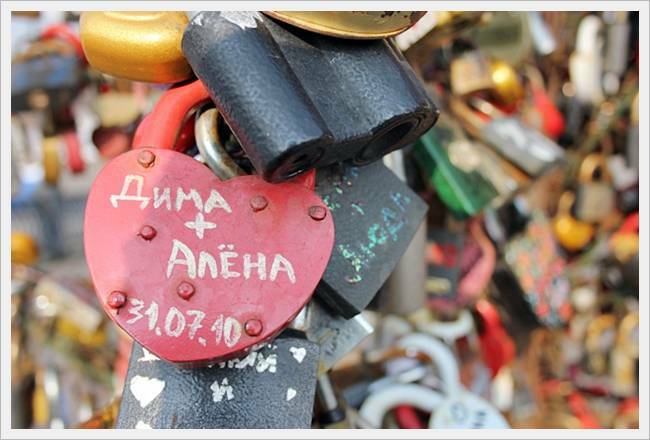 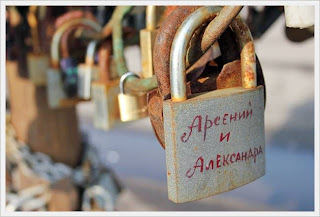 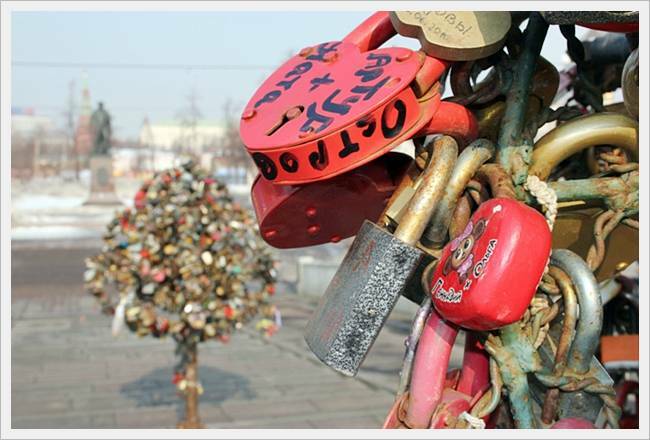 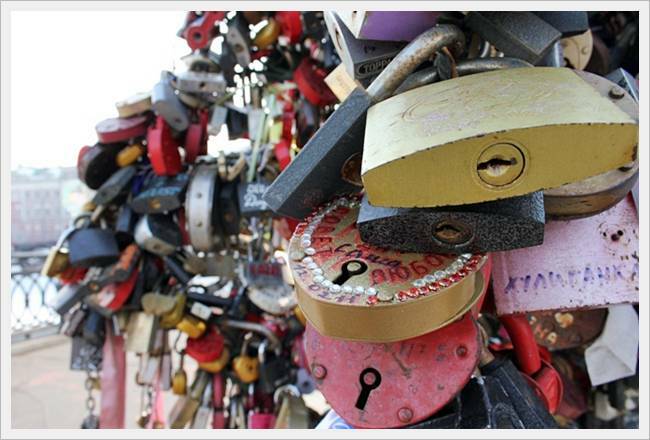 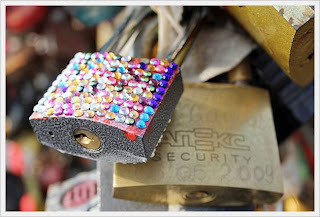 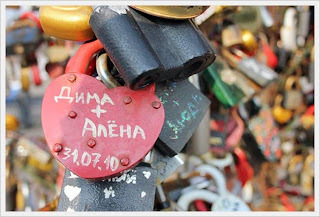 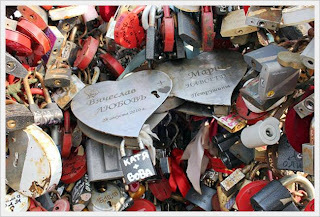 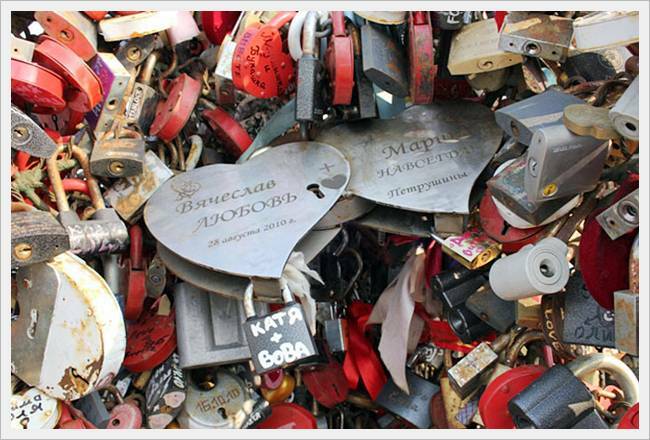 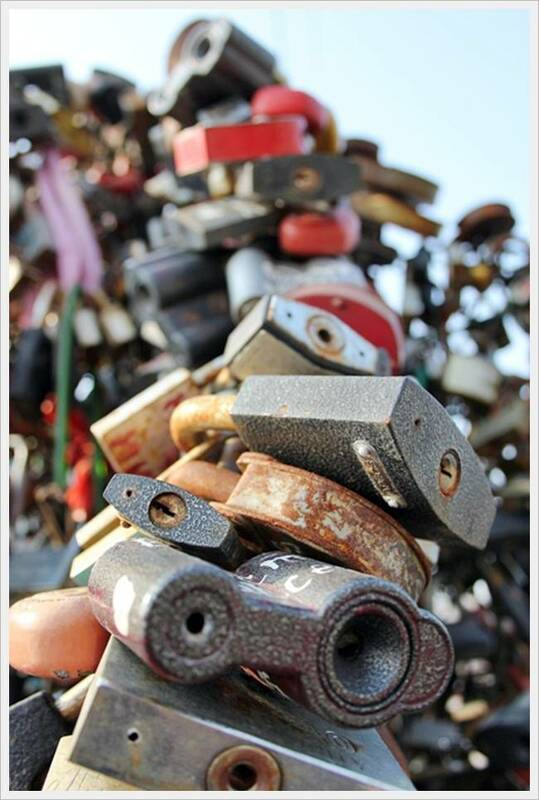 And that's what: You can endlessly looking at different shapes and colors locks and painted on them the names.